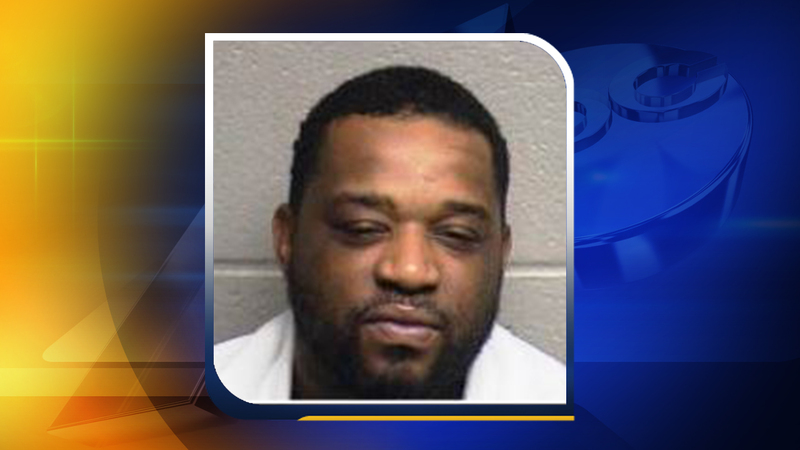 DURHAM (WTVD) -- A Durham man who was shot during an armed robbery has been arrested on robbery, kidnapping and other felony charges in connection with the case, according to Durham Police. The robbery was reported shortly after 4 a.m. last Thursday at the Jackpot Sweepstakes off Chapel Hill Road. A man entered the business and played some games before breaking into a locked office in the business, officials said. The man grabbed an employee in the office and demanded money. The employee grabbed a gun and fired it, striking the man, police added. After a brief struggle over the gun, the suspect again demanded money and the employee gave him cash from a register. The employee called 911 to report the incident. The man was later captured and identified as 30-year-old Alonzo Hester of Durham. He was taken to the hospital for treatment of gunshot wounds. Hester is charged with robbery with a dangerous weapon, kidnapping, larceny of a firearm, possession of a firearm by a convicted felon and felony breaking and entering. He was released from the hospital two days later. Investigators do not plan to file charges against the employee.